What do you see when you walk into a liquor store? 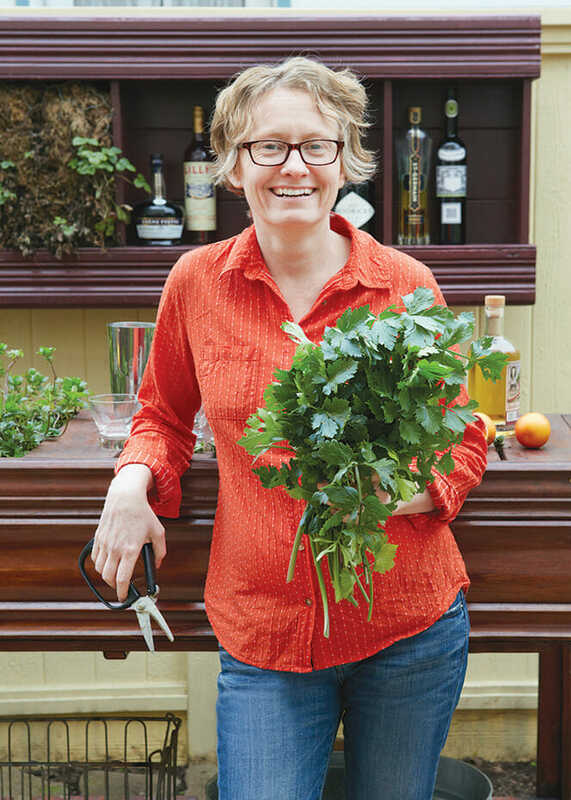 If you’re nature writer Amy Stewart, you see “the world’s most exotic botanical garden, the sort of strange and overgrown conservatory we only encounter in our dreams.” Indeed, without plants we wouldn’t have the martini. Or prosecco. Or single-malt scotch. Almost every element that goes into a great drink – from the fermented grains and grapes, to the herbs and fruits that flavor them, to the celery stalk in your glass – is a denizen of the plant world. Stewart’s latest book, The Drunken Botanist: The Plants That Create the World’s Great Drinks, tells the story of over 150 of these intoxicating flora and includes loads of tips for bartenders, gardeners and farmers on the art of alcohol. Amy Stewart on her garden patio. What are some weird plants that can show up in an alcoholic beverage? You name it. If it’s a fruit or an herb, if it’s edible, someone somewhere has dropped it into some alcohol and made booze out of it. A lot of these plants go back to medieval medicine. Capillaire syrup was originally a medicinal thing made from maidenhair fern that was supposed to treat jaundice. But it became sweet botanical syrup that ended up as a cocktail ingredient. No one makes maidenhair syrup anymore. But you could. And I have. Mostly old punch recipes like Jerry Thomas’ Regent Punch, which is one of those strange drinks that have green tea, Champagne and all kinds of crazy things. What are the most important plants in the alcohol world? That depends on your priorities. If you’re a bourbon drinker, corn is pretty important. If you’re a beer drinker, barley and hops are pretty important. How does understanding plant chemistry make for a better cocktail? No one in his right mind would use dried basil, right? Why? Most of those wonderful flavor molecules that we get from basil just evaporate as the plant material dries. But the seeds of the cilantro plant actually taste better dried because a lot of flavors go away, leaving behind flavors we like. Understanding these things can help you mix a better drink. What are some common ingredients we don’t think about? Sorghum is used to make alcohol – a lot of alcohol. In Africa, people make beer out of sorghum grains. In China they make a very high-proof sort of white lightning spirit called maotai. Here in the U.S., we’ve been making moonshine from sorghum for a long time. Now, Stuart Hobson, of Heartland Distillers in Indianapolis, is making something similar to rum – “sorgrhum” – from sweet sorghum molasses produced by an Amish farmer. Celery Homegrown stalks may be thinner than beefy, store-bought varieties, which make them perfect as swizzle sticks. Look for the dramatic crimson Redventure. Black Currant Once banned because of the risk that it would spread white pine blister rust, black currants are back. Ribes nigrum, used to make French cassis, is now available in disease-resistant cultivars; white and pink currants also make beautiful garnishes. Sloe Also called blackthorn, this large, thorny shrub (Prunus spinosa) bears the fruit used to make sloe gin. Mojito Mint This spearmint (Mentha x villosa) comes from Cuba and is the perfect mint for mojitos and other rum drinks. If you’re more of a mint julep type, look for Kentucky Colonel, a Southern cultivar. Mexican Sour Gherkin A close relative of the cucumber, Melothria scabra has a bright, tart flavor that’s a bit bolder than a cucumber – but the flavor isn’t the only reason to grow this one. The fruits are the size of a grape, with a mottled green and white skin, making them a perfect, unusual drink garnish. The makings of a garden cocktail. You planted a cocktail garden. Can you give us a tour? I live in the Pacific Northwest, so I have herbs like basil, cilantro, rosemary, sage, thyme and mint varieties, and vegetables [like] peppers and Redventure celery. For fruits, I grow tomatoes, raspberries and blueberries, and I also have black currants, which are the berries used to make cassis in France. I have Cuban mojito mint that got into the nursery trade in the United States because Canadian tourists were plucking sprigs of mint out of their drinks in Havana and sticking them in their suitcase. I also plant [a] wonderful Southern spearmint called Kentucky Colonel that’s the ultimate mint julep mint. Then I have sloes – hedgerow plants in Europe and the UK. The berries are too tart to eat fresh but they go into homemade “hedgerow wines,” and, of course, to make sloe gin, which is the most fantastic thing in the world. I found just one nursery in the Northwest that sells them, and they offer exactly 20 plants a year. Well, demand is not that great. I’m going to make it my mission in life to make sure that more people grow sloes. 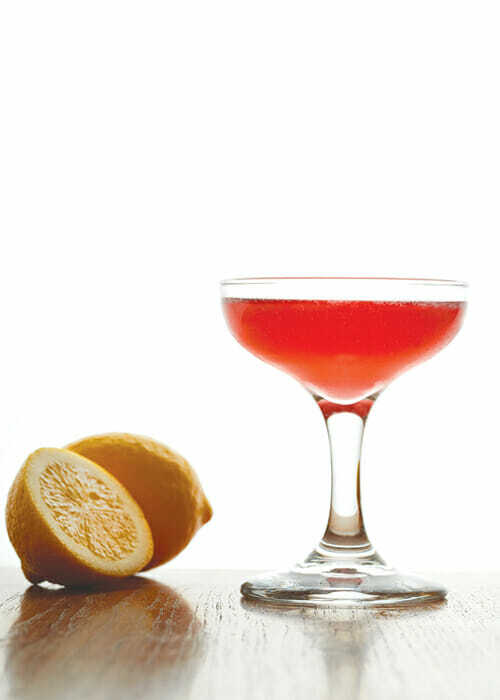 What’s your favorite cocktail that comes right out of your garden? The Mamani Gin & Tonic (as pictured above), which is named after the guy who gave his life to bringing quinine bark to the Western world. 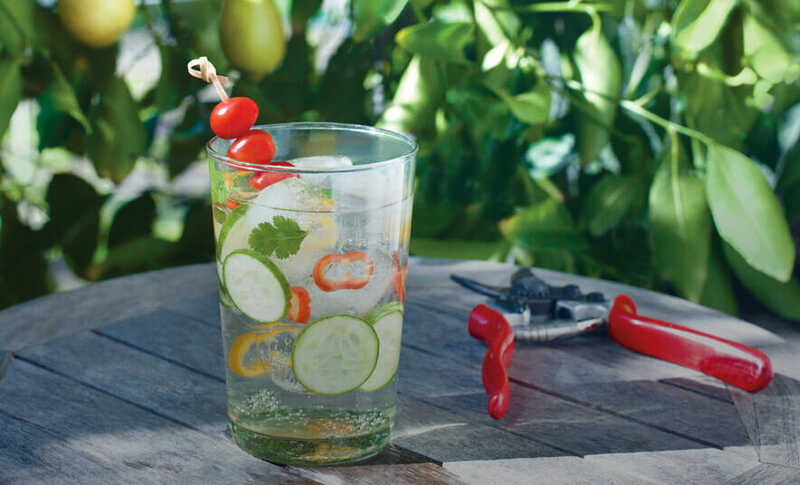 It’s a very gardeny gin and tonic, with jalapeño, cilantro, cucumber and cherry tomatoes. It sounds like researching this book had its upsides. Yes, I got lots of volunteers! [When] I wrote my last book, Wicked Bugs, no one volunteer[ed] to help. 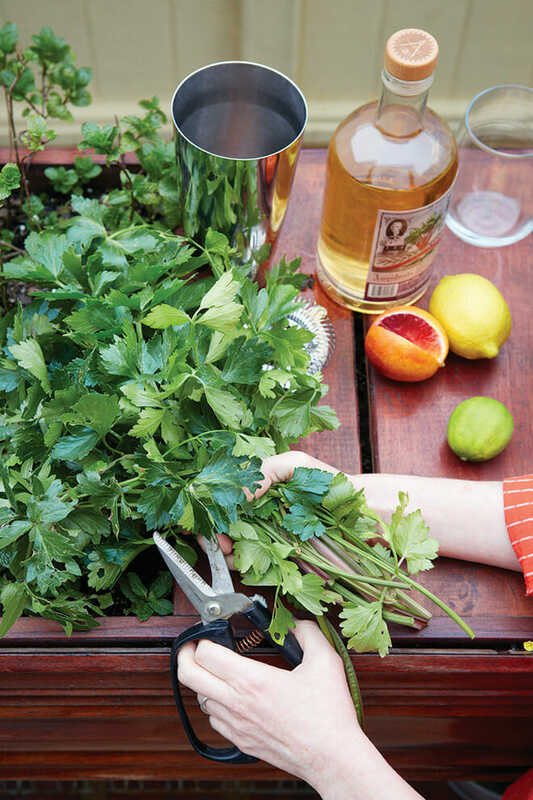 What’s your top tip for craft cocktail gardeners? Grow what you drink. Don’t bother with ingredients for drinks you don’t like. People are really looking for authentic ingredients – things like sweet-pit apricots for amaretto and dark, sour Italian cherries for real maraschino cherries. Also, distillers might be looking to buy the parts of your harvest that aren’t marketable for whatever reason but can be made into booze. A lot of alcoholic drinks, like apple cider, got started as a way to use up the surplus crop. Did writing this book change the way you drink? I have no patience for cheap ingredients or synthetic substitutes. I will just not order a drink if I can’t get something good. In honor of Joseph Dombey, a twist on the classic cocktail The Last Word. This version replaces Chartreuse with a more overtly lemon verbena”“flavored liqueur and substitutes the lime for lemon. Given the political turmoil that he found himself in, it seems only fitting that this cocktail combines ingredients from three countries that were also in constant upheaval: England, France and Italy. Shake all the ingredients except the lemon verbena sprig with ice and strain into a cocktail glass. 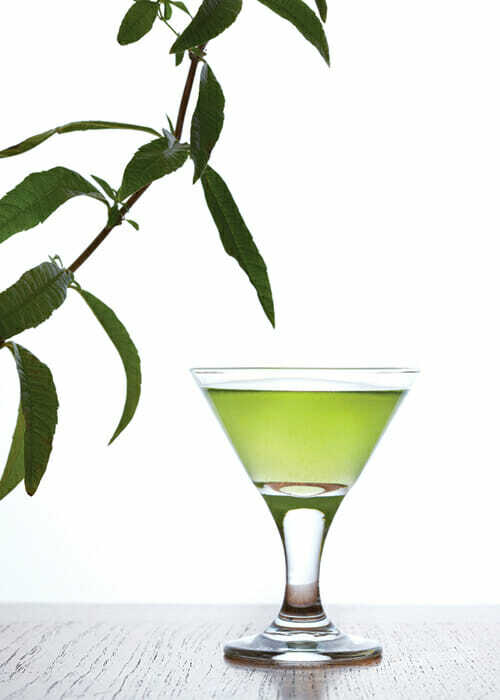 Rub a lemon verbena leaf around the rim of the glass and garnish with another leaf. If you can’t find Verveine du Velay, green Chartreuse is a fine substitute. Shake all the ingredients over ice and strain into a cocktail glass. To peel the pomegranates, score the rind with a knife as if you’re cutting an orange into wedges. Carefully peel away the rind, leaving the seeds and membrane intact. Squeeze with a fruit press or manual juicer and filter through a sieve. You should have about 2 cups of juice. Measure 1 cup of the sugar into a saucepan, add the juice, stir and bring to a simmer. Let the sugar cool and taste it; add more sugar if you prefer a sweeter syrup. Stir in the vodka as a preservative. Pour into a clean jar and store it in the refrigerator, where it will last about a month, or in the freezer. Adding another ounce or two of vodka will help keep it from freezing.